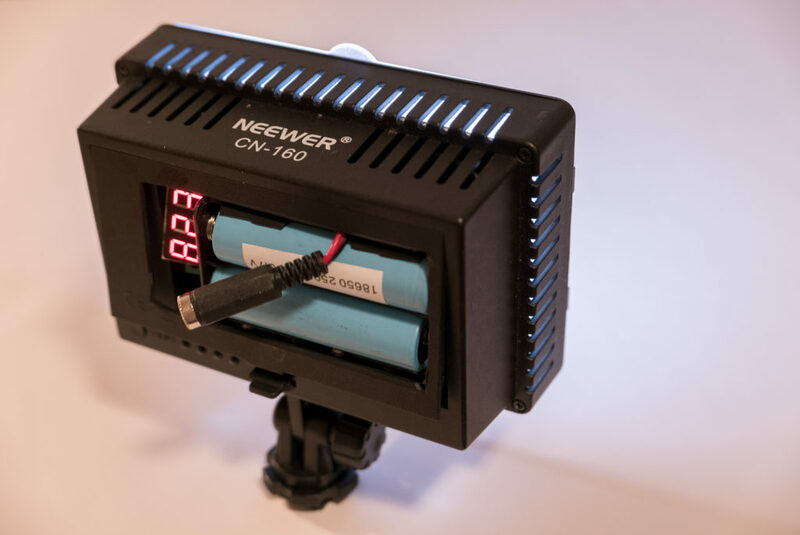 I use Neewer’s hot shoe LED lights for a variety of purposes – photography, video, and scanning negatives. 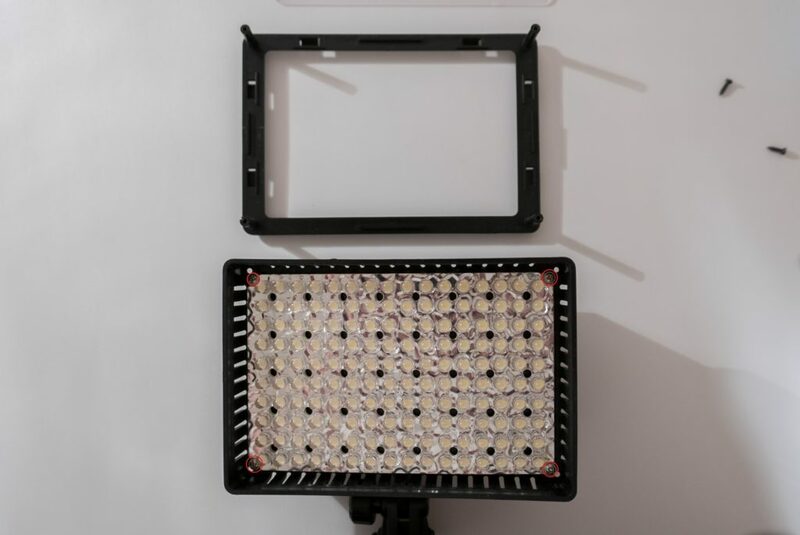 The CN-160 is incredibly bright and dimmable. Unfortunately, it is designed to take 6xAA batteries. 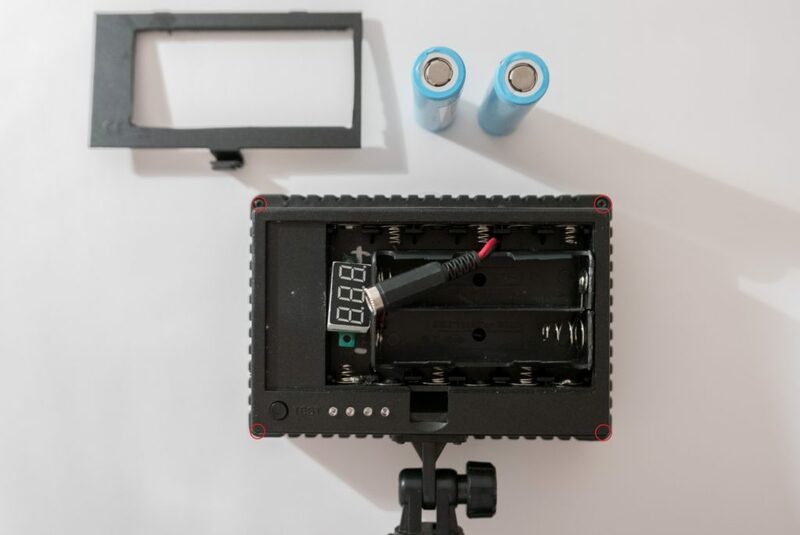 Or, if you have the right camera, you can attach your camera’s lithium battery to it. I don’t like either option. I use 18650 batteries for my headlight and I want to use them here. I added a voltage monitor so I didn’t accidentally drain the batteries. I added a DC barrel jack for connecting to a wall adapter. This was for scanning thousands of negatives – I needed full brightness for many hours. Notice the parts are just loosely fitted in the back. Not a very professional, but the back cover secures everything well. The voltage monitor came from eBay (search for “Two Wire LCD Voltmeter”). The battery holder and 2.1mm barrel jack also came from eBay. Begin by removing the highlighted screws. The front will come apart, revealing four more screws. Remove them. 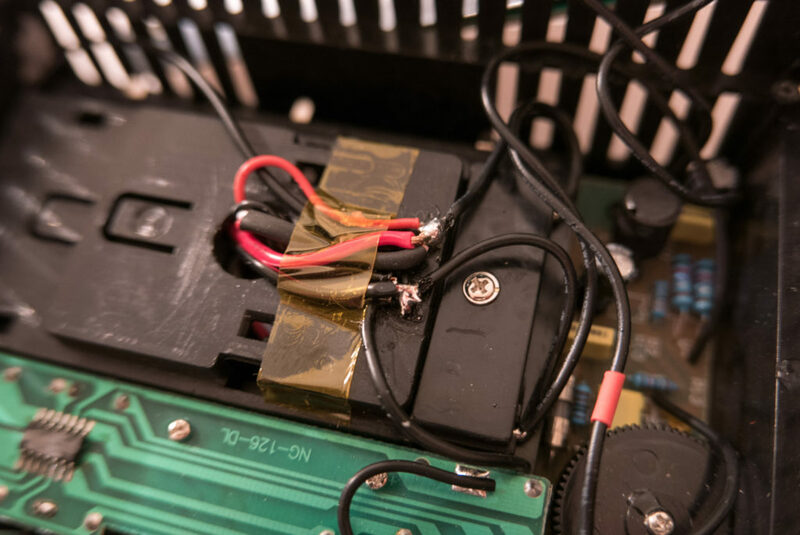 Stick all your wires inside and solder them to the existing power input leads. This unit can accept 6 x 1.5V AA, or a maximum of 9V. 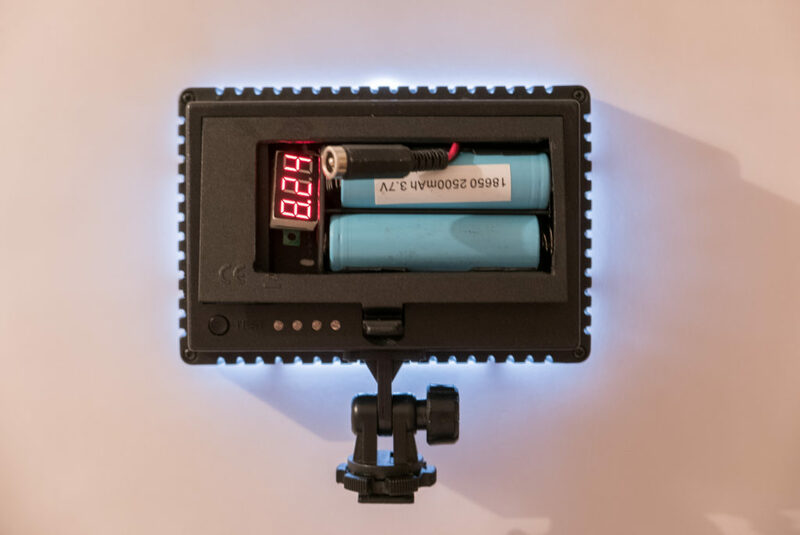 I used 2 18650 batteries in parallel, which give a maximum voltage of 8.4V. The batteries last a few hours, but 4 batteries (2 x 2 configuration) would be most ideal. 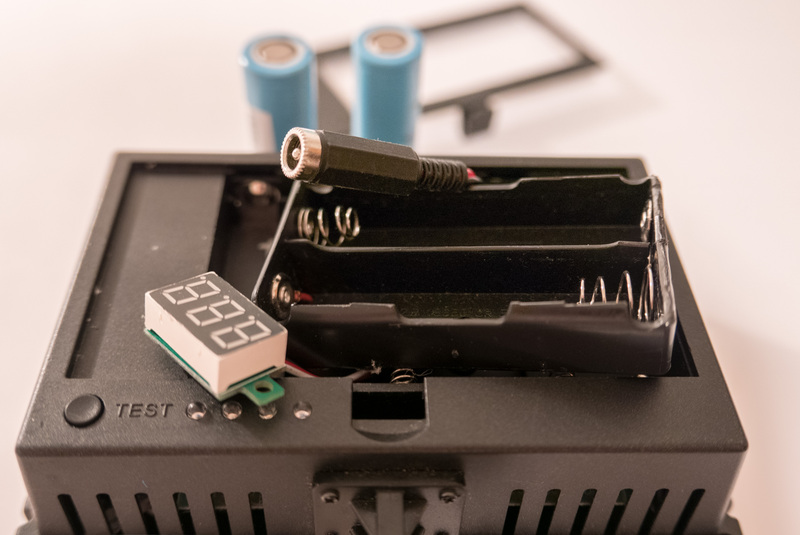 3.3V is a safe minimum voltage for lithium batteries, so when the volt monitor shows 6.6V, I shut off the unit and recharge the batteries. For DC power, anything between 5-9VDC output will give good results. However, the closer to 9V, the better. I used a 10V 2A adapter, but at full power, it drops to 8V.